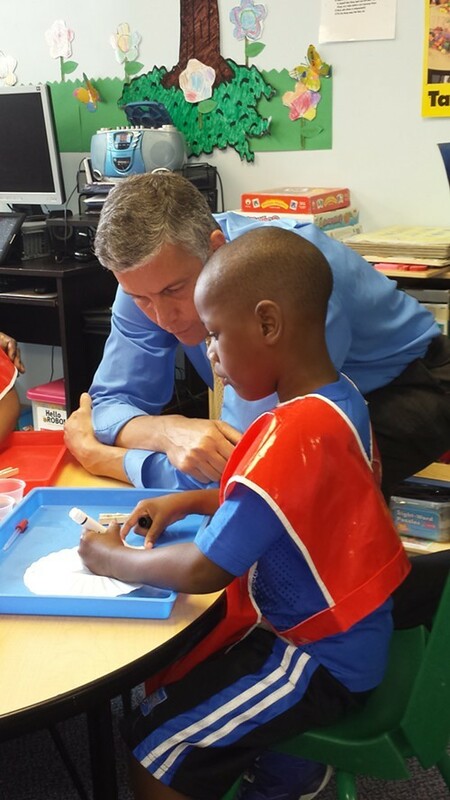 On Aug. 13, U.S. Education Secretary Arne Duncan visited the Hug Me Tight Child Life Center in the Hill District to announce a $250 million preschool development grant competition for early childhood education. "We're working as hard as we can to expand access to high quality early learning opportunities," Duncan said. "Seeing the opportunities that kids have at a place like this is pretty remarkable." According to Pittsburgh Mayor Bill Peduto, half of the city's children up to age five don't have access to high-quality early learning opportunities like those offered by Hug Me Tight Daycare. The preschool development grant can be used to provide early education opportunities for children from birth to 5 years old. The funds can be used to expand or create programs like early home visiting programs, where outreach workers provide parents with information on how to begin educating newborns and toddlers, or early head start programs like the one at Hug Me Tight Daycare. "I honestly think it’s the most important investment we can make," said Duncan. "If they start a year or two behind, too often they can never catch up." Duncan said studies have shown that society saves $7 for every $1 invested in early childhood education. These findings come from a study of children enrolled in an early childhood education center in Chicago. "The U.S. relative to other industrialized nations ranks about 25th for spending on early childhood education," Duncan says. "Our children and our families deserve better." The application process will be a joint effort between the mayor's office, the Pittsburgh Public School District, and local nonprofits. If Pittsburgh is selected funds can be distributed to a variety of sources including the school district, nonprofits, and community organizations like the YMCA or churches. "Pittsburgh Public Schools has been working long and hard in this area of early childhood education and this opportunity to expand what we're doing is fabulous," said PPS Superintendent Linda Lane. Applications for the grant are due by Oct. 14 and awards will be made in December 2014.